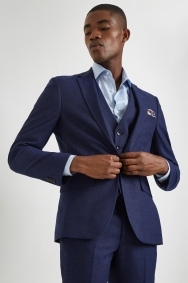 With its rich autumnal hue, patterned lining and one-button fastening, this Moss London jacket is an updated take on classic blue. 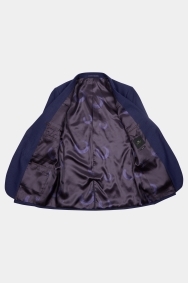 Cut for the closest fit through the chest, shoulders and waist and made from stretch fabric, it will define your frame while giving you freedom to move. 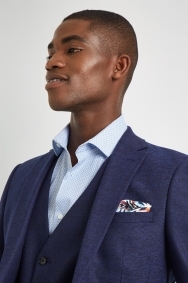 Style with a sky blue shirt and patterned pocket square for a formal look that will never fail to impress. 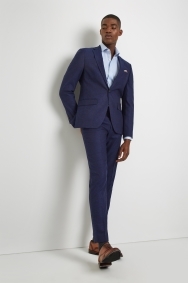 Lovely quality suit, beautiful material and colour and lovely fit. 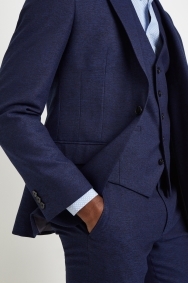 A great fitting three piece suit with a really nice pattern. 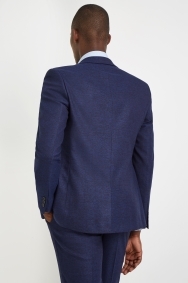 Worn as one to a work event and received multiple praises for it's appearance and overall quality. 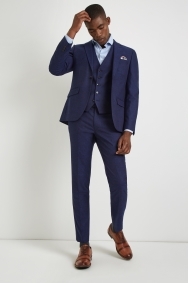 Jacket and trousers could certainly also be worn without waistcoat for a casual but sharp look.